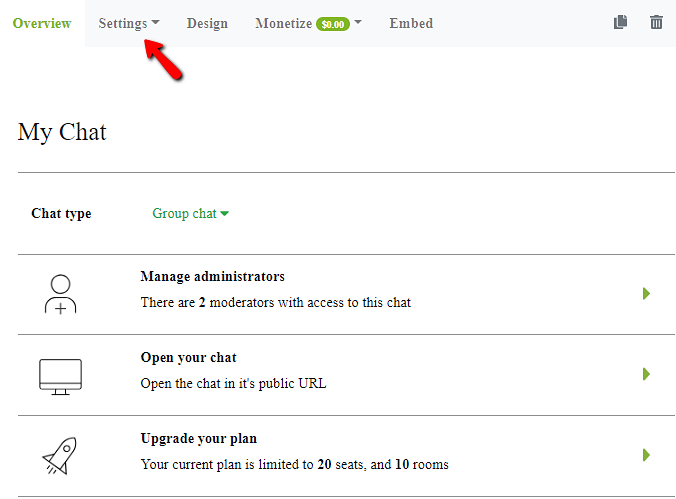 Simply open the chat admin panel and click on “settings”. 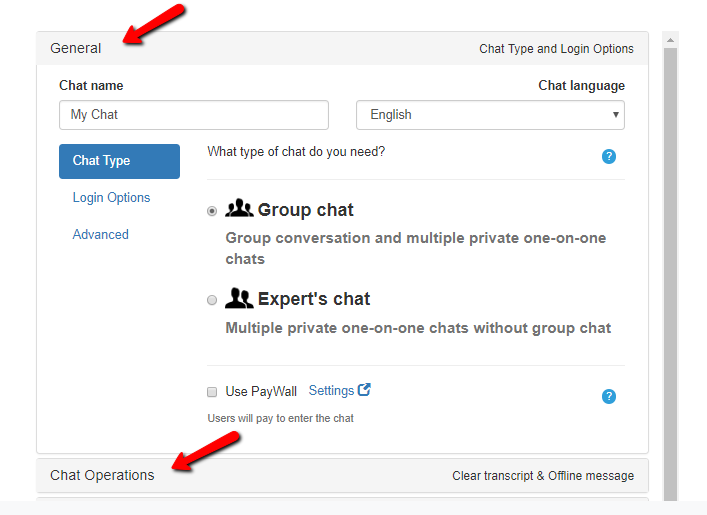 One can change and customize the look & feel, set chat filters, place the chat in offline mode, advanced users management, control the chat behavior, ban users, export the chat room transcript, integrate with external users base, and more. Previous postCan I have different themes applied to different group chats? Next postHow do users pay for Paid access?